Linux has had a bad reputation for being difficult for many years. This myth is slowly being shattered, especially in the last few years, mainly thanks to the great popularity of Ubuntu, which really transformed Linux from a geek toy into something normal people can use. One of the simple, common tasks that may be worrying Windows users mulling a switch to Linux is: how difficult is it to manipulate media in Linux? Well, we saw that working with media in Linux is quite simple. Hey, it is even easier than doing that on Windows. In fact, I have a whole section dedicated to multimedia, where you can learn how to do all sorts of things with video, audio and Flash files, how to rip DVDs, record your desktop, install Flash Player, install MP3 codecs, convert MP3 files, and many other items. What about burning disks? What about images, y'know, those ISO files? Not to worry. It's as simple as spelling Dedoimedo. 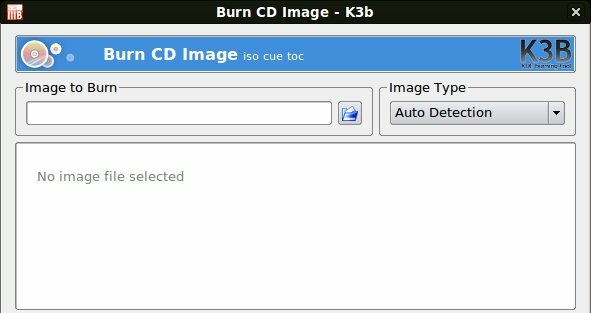 In the tutorial today, we will learn how to use burn image discs on Linux. Follow me, ladies and gents. There are many programs available. But the choice is rather simple: K3b. It's simply the finest, most powerful burning suite for Linux. And it easily surpasses any Windows alternative. It's robust, rich, powerful. It's listed as a favorite on my New cool list for a good reason. 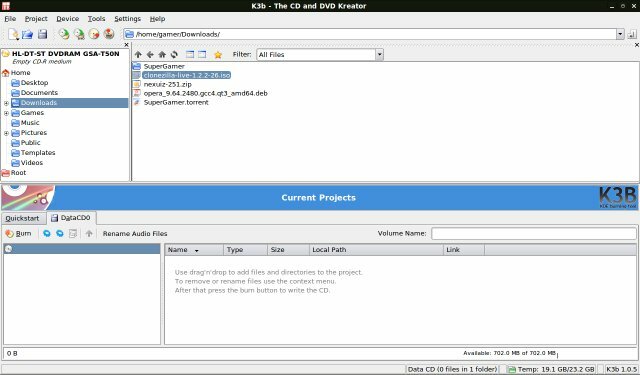 K3b is available in pretty much every Linux repository, so download and installing it is a very simple thing. Now that we have our program, let's burn an image. Your browse into the directory where the .iso file you want to burn is located and select it. Once the ISO is selected, you'll see a whole lot of information in the menu. You can change the burn speed, change the writing mode, use simulation before burning the image and verify the process at the end. 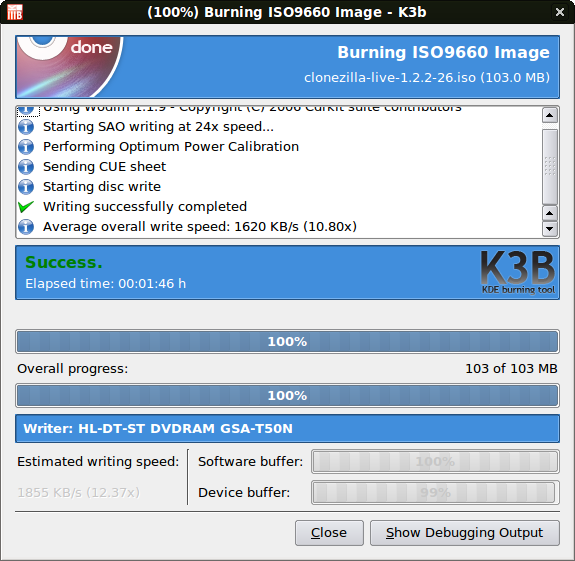 Unlike most other burners, K3b will display lots of meta data about the image. Ready? Just click Start and enjoy. And that's it. Success. And it was SO simple. This is a fairly short tutorial, but it needs not be long. Working with CD/DVD files is as simple as doing it on Windows. 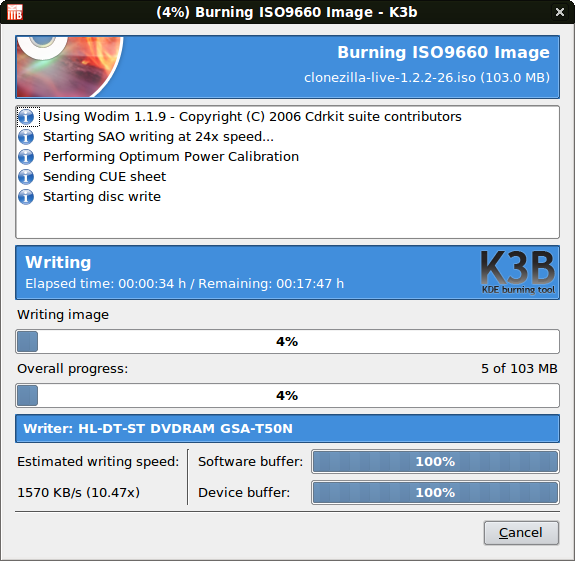 What more, K3b is a superb piece of software, guaranteeing high-quality results with your burning.